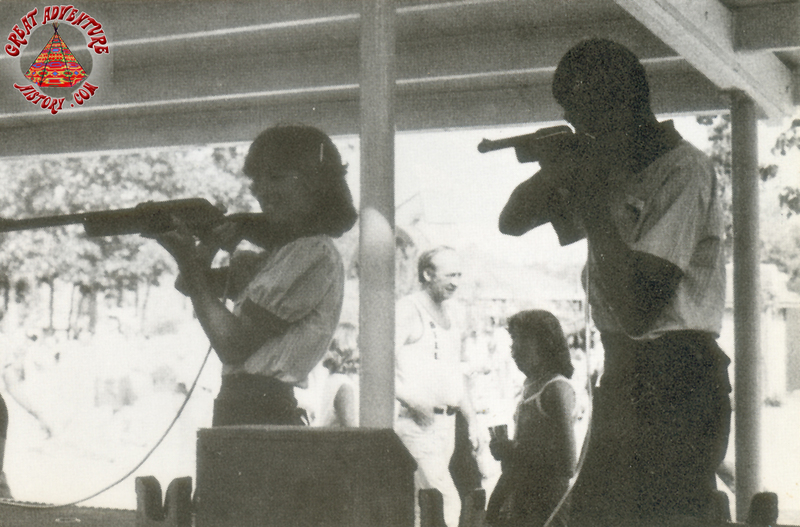 Shooting galleries have long been a part of amusement parks and theme parks. 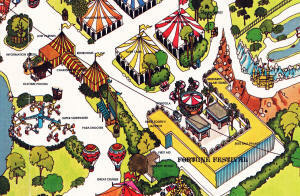 Advances in technology as well as more variations in design assures a constant evolution of these games. 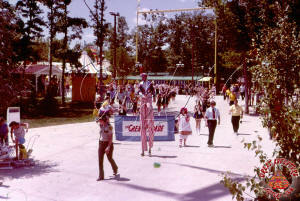 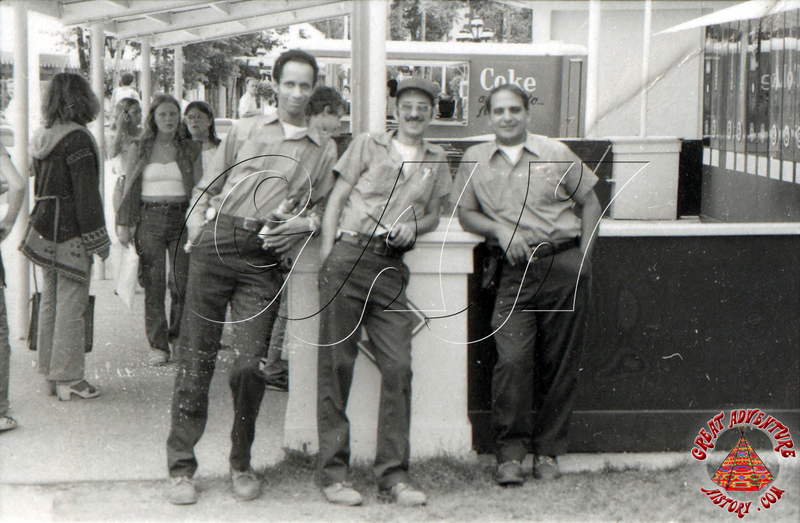 When Great Adventure opened in 1974, one of the most popular attractions was the original Western Shooting Gallery. 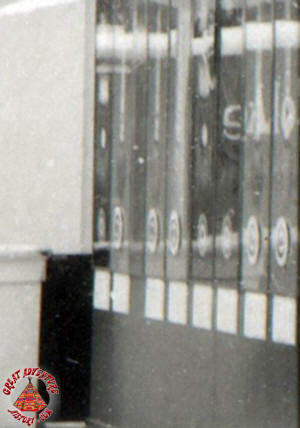 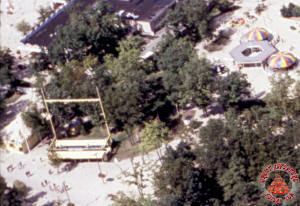 As the park expanded in the following seasons, additional shooting galleries were added around the park. 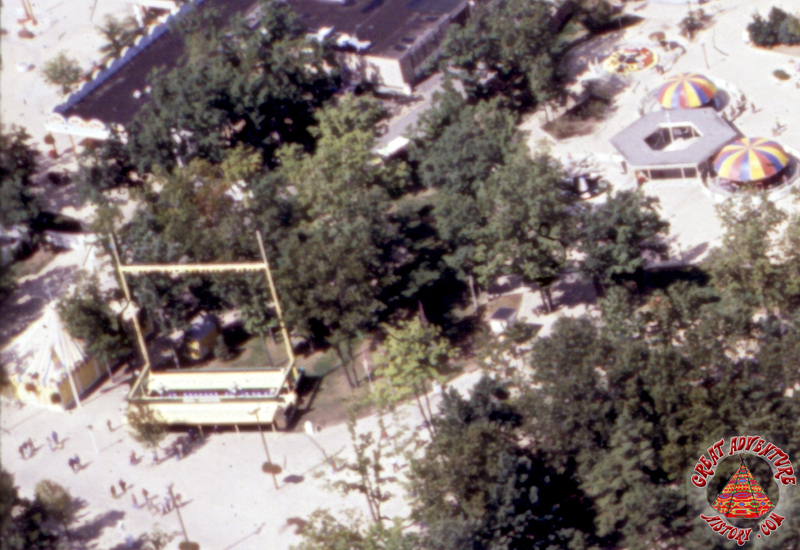 While the others were variations on the same basic hardware with different scenery, one stood out as unique and a first of its kind. 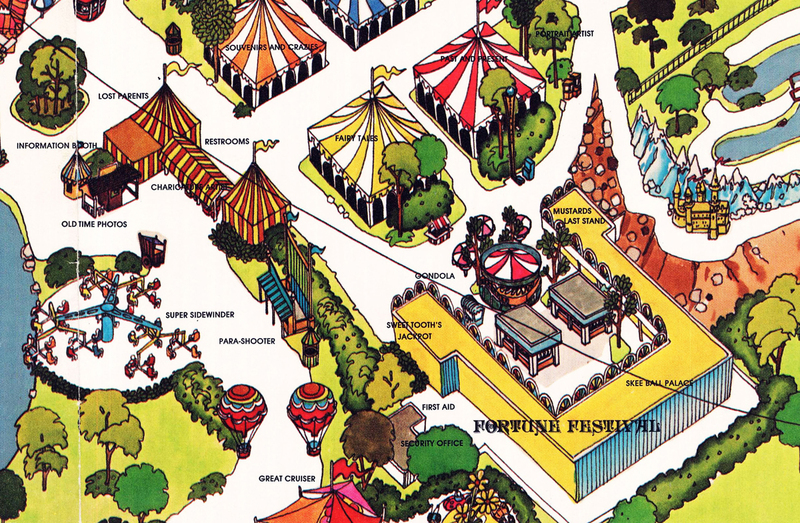 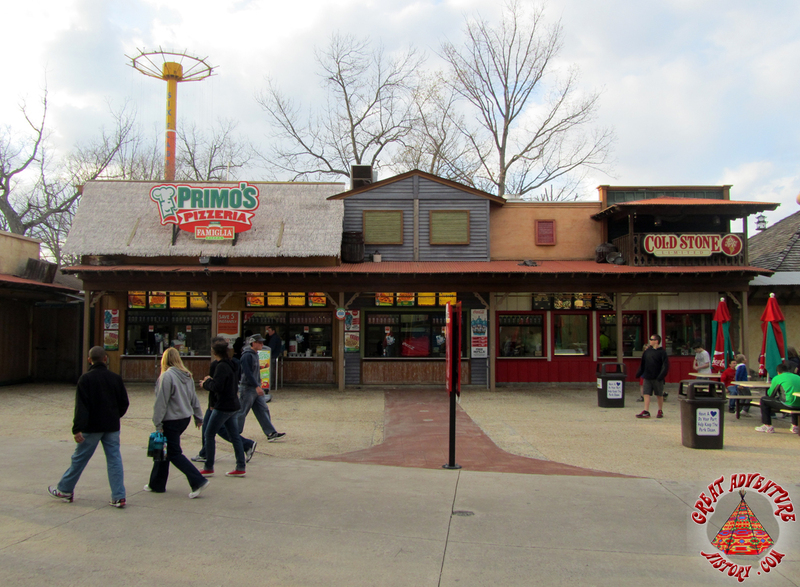 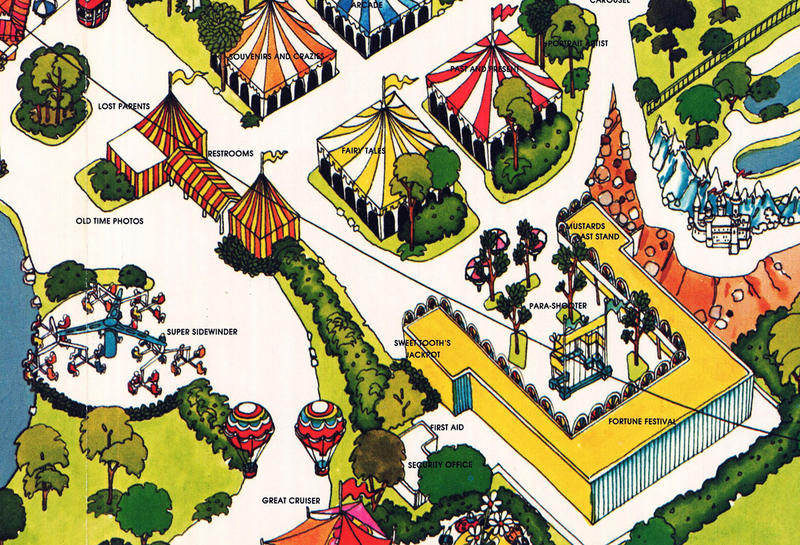 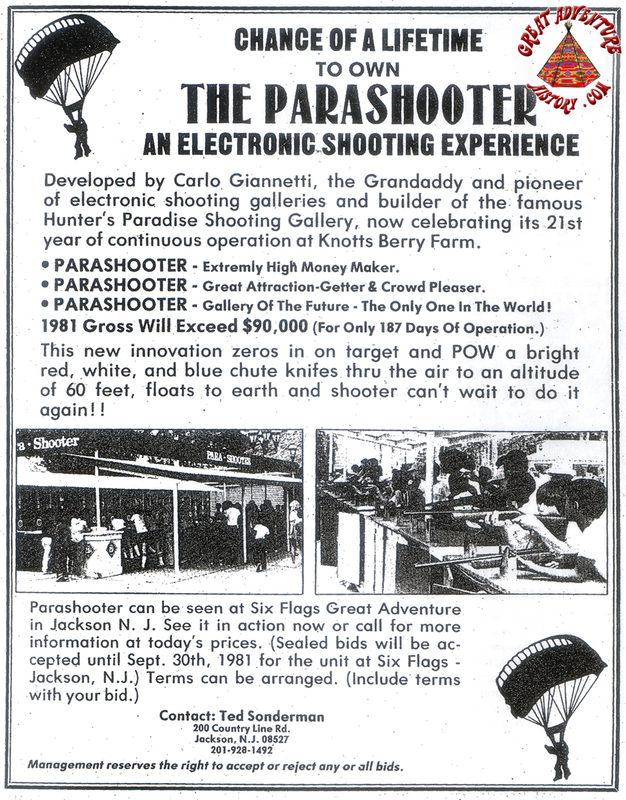 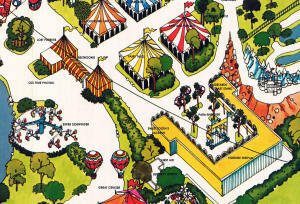 Located a short distance from the Dream Street Tents next to the building which once housed the park's original Guest Relations, the Para Shooter shooting gallery was an outdoor electronic game which reached into the sky. 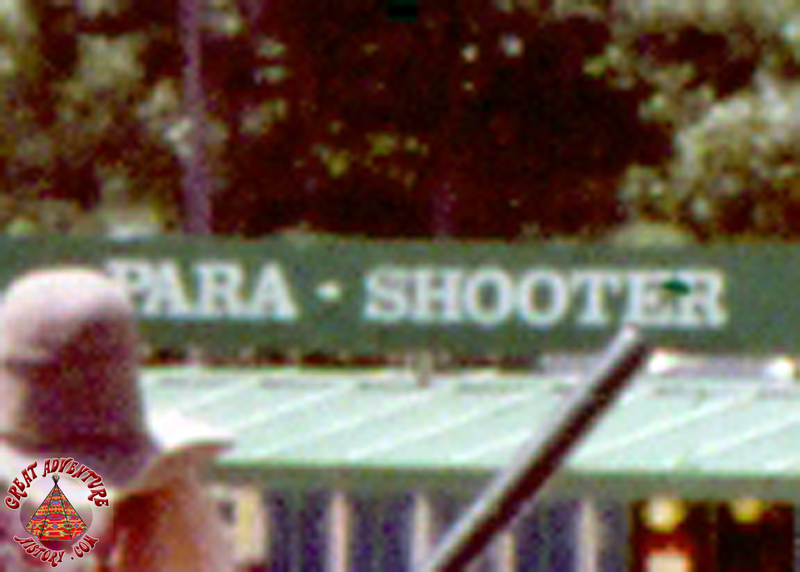 Like a typical shooting gallery, the Para Shooter featured counter-mounted rifles, but unlike the other galleries, the marksman was assigned a dedicated target similar to one found in a water gun game or in an alley in a real shooting range. The row of bullseye targets at the base of the game's large steel 60 foot tall frame were strung with thin wires which reached all the way to the top of the frame. The various concentric circles of the target were assigned values of 1 to 3 for the outer rings, and 4 for the center (or bullseye). Scores were accumulated and whenever a value of four was obtained a parachute would shoot up a wire to the top of the frame and the small chute would open as it came back down to the bottom, ready to shoot back up when a score of four was once again achieved. 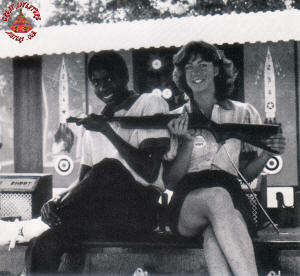 Above each target an illuminated four-stage rocket displayed how many points were needed for the next launch. 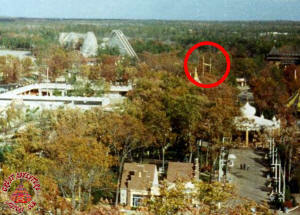 The Para Shooter appears to have been the only one of its kind in the world and while it was visually appealing, it must have been something of a maintenance problem for the park. 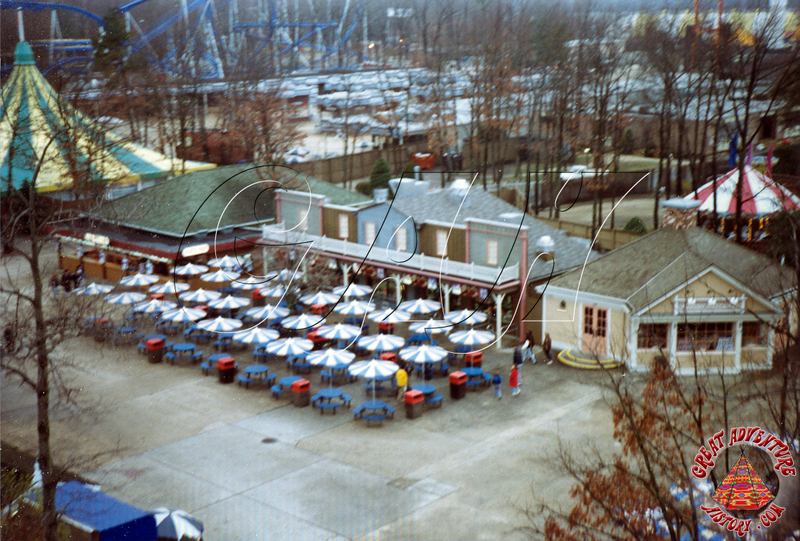 Great Adventure tried to sell the Para Shooter but they never found a buyer or a new home for it in another park. 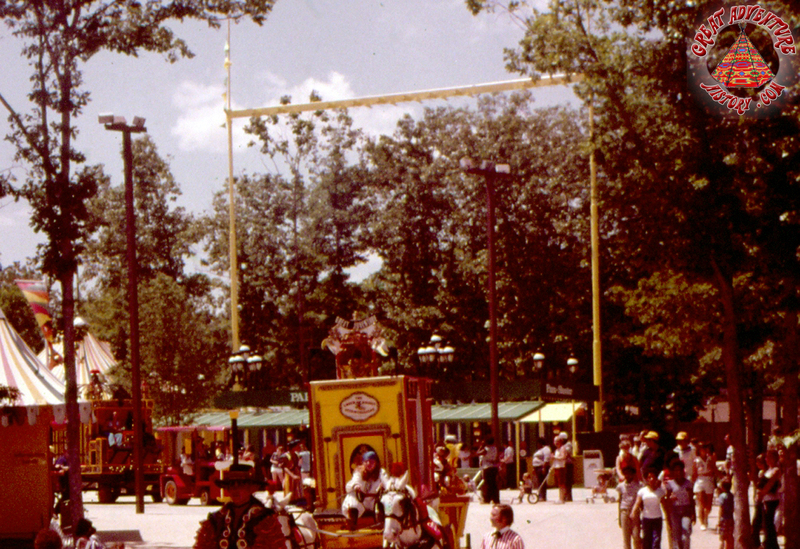 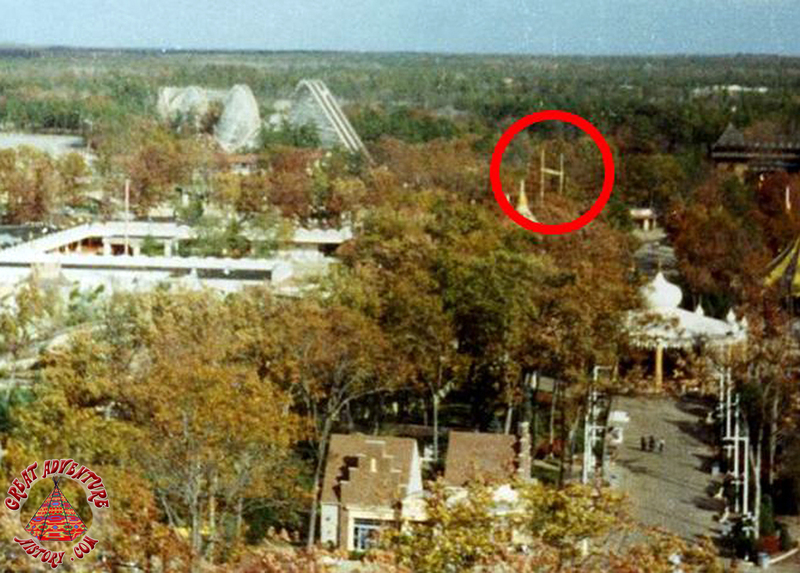 The steel frame of the shooting gallery including the two tall poles and cross bar are still in the park's boneyard today. The Para Shooter was removed after the 1981 season and the site remained primarily vacant until the International Food Fair was built in 1983. 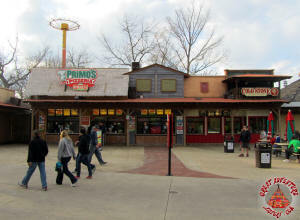 Today the space is occupied by several food stands near the entrance to the Golden Kingdom.